Bourbon-Glazed Chocolate Chip Pumpkin Bread recipe where cinnamon and fall spices blend with chocolate and pumpkin flavors to make the most tender, moist dessert bread you’ll ever taste! I’m welcoming fall with open arms over here this week! I fight it for as long as I possibly can (yes, I’m still rockin’ the flip-flops here in New York), but October is fast-approaching and I can’t deny it any longer. I would gladly welcome fall weather in August if it meant I could bake up this Bourbon-Glazed Chocolate Chip Pumpkin Bread and have it be totally acceptable. Please do not hate me for saying that. All the kids are back in school, the weather is cooling down, the leaves are changing – let’s bake up some pumpkin bread, shall we? 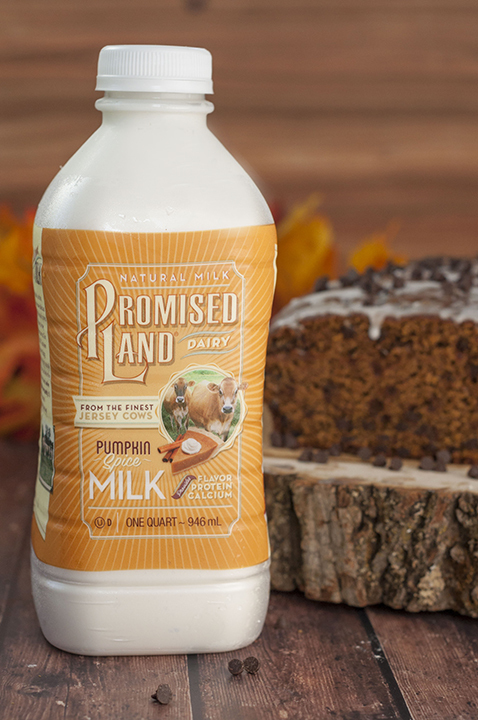 I have the awesome opportunity to partner with Promised Land Dairy as part of their #FarFromOrdinaryMilk program and try their all-natural Pumpkin Spice milk. I poured myself a huge glass of this milk as soon as it arrived on my doorstep. It was the creamiest milk with the perfect amount of pumpkin spice flavor. It was love at first sip! This brand provides premium milk from the finest Jersey cows. It is free of artificial flavors, colors, and hormones and is also high in protein and calcium. I can’t wait to try more of their products (especially their strawberry milk) because I loved this one so much and could really tell it was high-quality! I can’t remember the last time I had a glass of milk and enjoyed every sip as much as I did with Promised Land Dairy milk. You can find out where to buy it for yourself here. 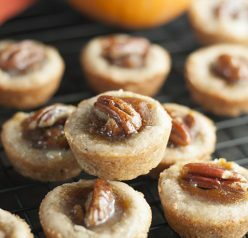 Guys, I have made this recipe before with regular milk and using the Promised Land Dairy Pumpkin Spice milk completely blew the other version out of the water! This and my White Chocolate Pumpkin Bread have been my go-to pumpkin bread recipe for years. Being a food blogger, I just can’t leave well enough alone. 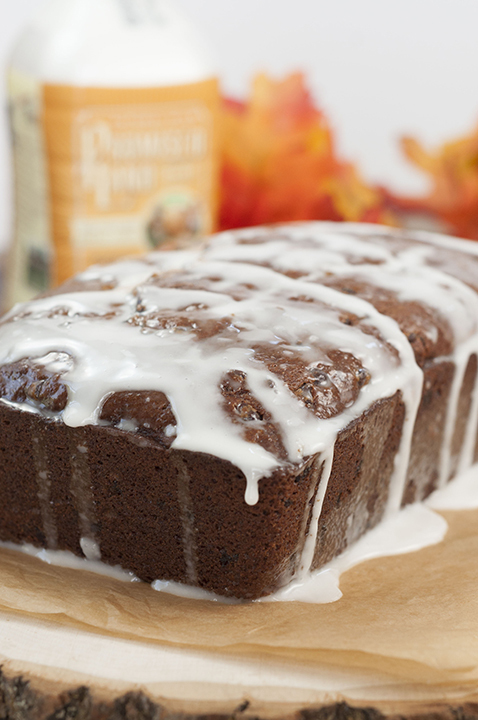 I always try to jazz up my pumpkin bread and did just that with my Bourbon glaze addition. The glaze was amazing! It added just the right touch with a hint of the Bourbon flavor. I tasted the glaze on it’s own and couldn’t have been happier with the results. The Promised Land Pumpkin Spice milk thickened it up perfectly and gave the glaze just the consistency I was hoping for. I used mini chocolate chips in this pumpkin bread as I feel it gives just the right amount of chocolate in every bite. The mini chips just seem to distribute more evenly and I started using them a couple of years ago when baking cakes and breads. 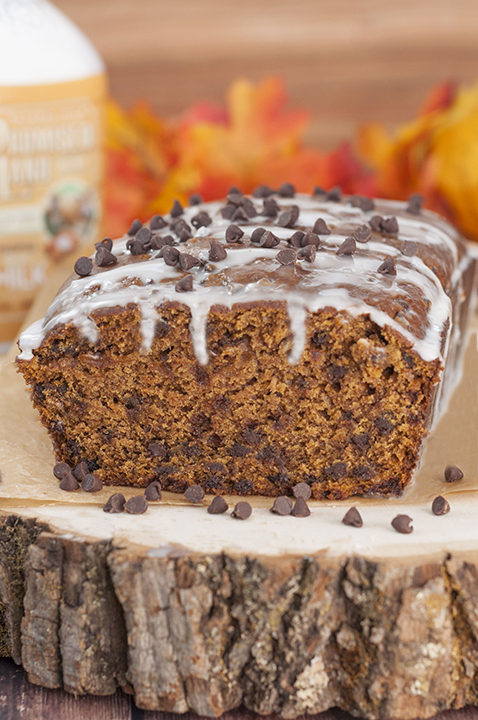 This Chocolate Chip Pumpkin Bread would be awesome for the holidays, weekend breakfast, a tasty mid-afternoon snack, to give away as gifts, or even for a bake sale! Whatever you make this for, just be sure to make it! 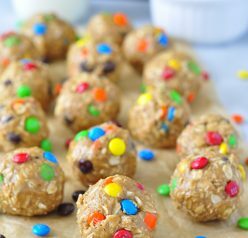 It’s going to be a hit every time you make it and you will be sure to win the love of your family and friends. Here is my “how to” video with detailed step-by-step instructions and tips on how to make this chocolate chip pumpkin bread! Bourbon-Glazed Chocolate Chip Pumpkin Bread recipe: cinnamon & fall spices blend with chocolate & pumpkin flavors for the most tender, moist dessert bread! Spray a 9" x 5" loaf pan with cooking spray and line the bottom of pan with wax/parchment paper (this makes it easier to remove later on). Sift together flour, cinnamon, baking soda, salt, ginger, nutmeg, cloves, and baking powder in a mixing bowl; set aside. In a large mixing bowl and using a hand mixer, beat the butter until creamy. Add the brown sugar and beat for a few minutes. Beat in the pumpkin puree using your mixer. In a small bowl, stir the vanilla into the pumpkin spice milk. Mix the dry ingredients into the pumpkin mixture in 3 additions on low speed, alternating with the pumpkin milk mixture. Mix until just incorporated. 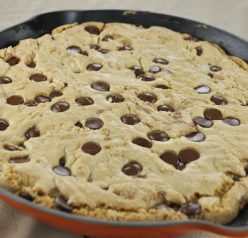 Spread the batter into an even layer in your prepared pan. Bake for about 1 hour or until a toothpick inserted in the center comes out clean. Let the loaf cool in the plan for 10 minutes, then turn out onto a rack to cool the rest of the way. Mix together the Bourbon and milk; slowly add the powdered sugar to it. Whisk to get the clumps out and then let it sit for 10 minutes to thicken. Add extra powdered sugar, if needed, to thicken. Pour your glaze over the bread just before serving. Enjoy! Disclaimer: Thank you to Promised Land Dairy for sponsoring this conversation as part of their #FarFromOrdinaryMilk program. All opinions remain 100% my own, as always. I need a loaf of bread of this right now! 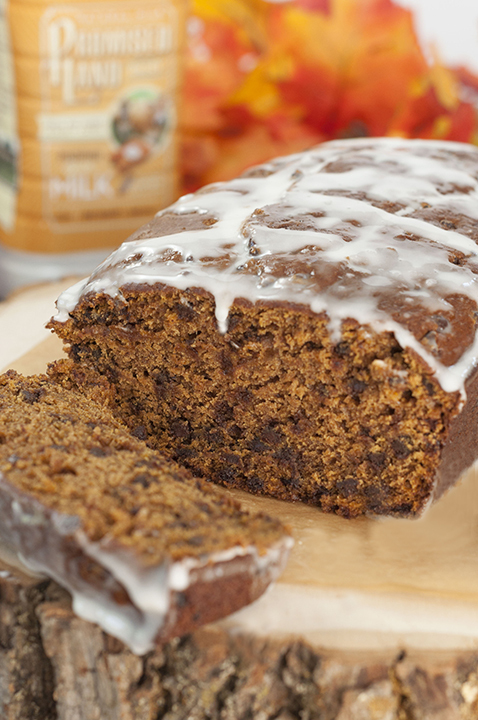 Definitely blows my regular pumpkin bread out of the water! Wow – this sounds so good! Pinning! I will be making this soon. WOW!! This looks delicious!! Love it! You really upped the game with that bourbon glaze! And I certainly adore the generous chocolate chips. This is the best part of fall – all the great comforting eats! Looks amazing!! Perfect for Fall! Pumpkin spice milk? That sounds incredible.! I feel like I can taste it already as I sit here thinking about it. I will have to see where I can get my hands on this! There is just something about a tall glass of cold milk and a slice of pumpkin bread (especially with chocolate chips mixed in) that makes my mouth water. ”Tis the season for pumpkin! I may have seen Promised Land milk in my favorite grocery, but I’ll definitely be on the lookout now! I take your opinion in high regards! Don’t see chocolate chips listed in ingredients or directions. Oh my goodness – thank you! It’s in there now.